What Are Some of the Best Supplements for Opiate Recovery? Of the 63,600 people that died from drug overdose in 2016, roughly 66 percent were related to the abuse of opiates such as heroin. Many people have been helped to stop the abuse of opioids and travelled down the road to recovery. During this process, the damage that the substance abuse caused needs to addresses to help individuals deal with the after affects that the drugs had on their body. Malnutrition is common among addicts, and as such, we will explore the best supplements for opiate recovery. A person in the throes of addiction is often not concerned with their diet. Opiates themselves don’t suppress a person’s appetite; however, an addict’s lifestyle and the priority they put on the abuse of the drug may cause them to not get all of the nutrients they need. Extended abuse of the drug can also cause intestinal lining damage, which hinders the body’s ability to absorb nutrients from food. By the time the person seeks treatment, they may also be lacking in various dietary requirements. Restoring the body’s function is the first aspect of addiction treatment, which occurs during and after the detoxification process. The symptoms of withdrawal from opioids includes nausea, vomiting, and diarrhea. While at a rehab center a person’s diet is geared toward recovery – ensuring that their body gets what it needs to replace lost nutrients – those who are going through detox alone can struggle to keep their body healthy during this time. Dietary supplements for opioid addiction recovery can help to bring the body back into shape faster and help to restore proper brain function; dietary deficiencies can hamper normal brain function and compound the distressing psychological symptoms of withdrawal. The right, healthy diet can be an asset to opiate withdrawal relief. Eating right and getting the right vitamins and minerals can be a natural way to help the body recover faster, and it can even reduce mood fluctuations and help to reduce cravings for opioids. 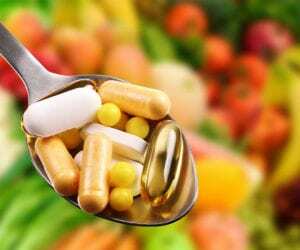 A change in food alone is sometimes not enough to get all of these mineral and vitamins, and then supplements become the best solution. Three different b-vitamins can be helpful during recovery from opioids. B12 – Helps to reduce neurotoxic compound homocysteine. B-complex – This compound helps to reduce depression and anxiety, and in the production of important hormones. B6 – Helpful in the synthesis of dopamine and serotonin. Protein is among the best supplements for opiate recovery because it can help the body to rebuild and repair damaged organs and muscles throughout the body. The effects of the amino acid GABA are linked to relaxation and calm – similar to the effects of alcohol. It can be useful during detox from opioids as it helps to reduce the feelings of anxiety that may be caused by low GABA activity. These minerals can be very important during recovery from opiate addiction as they help to reduce muscular pain, which is a common symptom of withdrawal. Twitches and muscles spasms can also be reduced. Omega-3 is another supplement that can be taken to help normalize the levels of dopamine in the brain, which is out of balance due to drug abuse.